The most glamorous race of year is Monaco, and it takes its customary slot in December. For any of the drivers who’ve raced in previous seasons, they’ll be well familiar with Monaco’s layout. For Delilah and Rask, who are new to the league, it’ll be a unique challenge. The start-finish straight leads into the first corner, Sainte Devote, and it’s fairly straight forward. It’s a corner that always gets jammed up at the start of the race, so don’t be surprised to see some damage come out. The following straight is long enough to get some higher speeds and leads into Massenet and Casino, a pair of fairly easy to navigate corners. Overall, the first sector is one that drivers should not get wrong. The second sector features the Loews hairpin and the long tunnel straight. The combination of bends that precede the tunnel, including Loews, make for an extremely slow section and getting it right with speed for the tunnel is key. The straight leads into the Nouvelle Chicane, which is there to just throw drivers off their speed heading into sector three. The final sector is the most technical, featuring Bureau de Tabac and ‘S’ de la Piscine at the start. Those corners will send speeds back down before heading into the final combination of Rascasses and Anthony Noghes. Cars that can avoid a pit stop and come out of the final corner with some speed will gain a big advantage and the potential to pull away or make up some places. Those that don’t can rest assure that the circuit has enough places where things can go wrong that they may still have a shot at catching up. This month’s starting grid will be the most complicate the SBMRL has ever seen as there are a number of unusual situations to account for. According to league rules, the starting grid for the race is always the reverse order of the current driver standings. Given that the entire field sits just 7 points apart, there are some ties to be broken. Rask, The Stig, and Jaap all sit at 35 points currently, which ties them all for 5th place. Launch and Whiplash both sit at 39 points, tied for second. For drivers who are tied on points, the tie breaker is the order of finish in the last race. Here’s what the default grid would look like. Now, The Stig and Jaap both have an unusual set of conditions affecting their starting positions. First, the Stig will recieve a 1-grid place penalty for causing a crash that resulted in the elimination of another driver at our last race. In his case, this is adding insult to injury since not only was it his teammate Rask that he knocked out of Singapore, but the accident also resulted in the premature end of his own race. Jaap’s case is an unprecedented one. Jaap caused the collision that eliminated Delilah in Austin. However, race stewards failed to assess the penalty for the starting grid in Singapore. As a result, the league has decided to impose a 2-grid place penalty on Jaap for Monaco. The first is the result of his on track actions in Austin, while the second is for failing to report the error in Singapore. Monaco is the Stig’s home race this season. 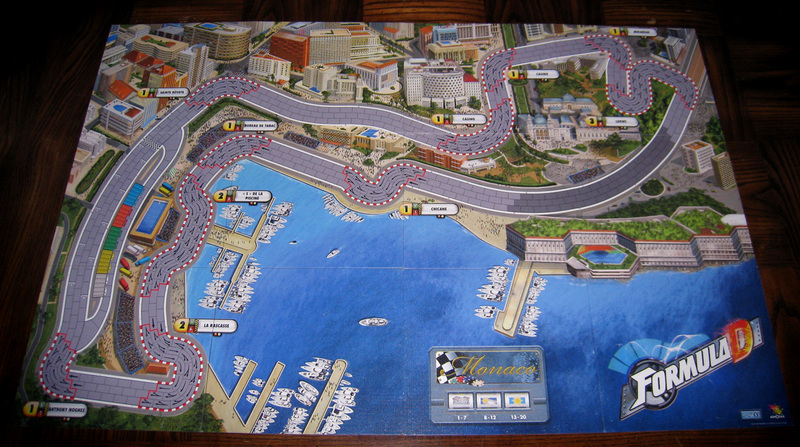 Like Austin, Monaco is one of the two tracks that the SBMRL has raced at every season. The Stig has won twice, both times from pole position. The other victory was Jaap’s stunning drive from 9th on the grid in 2016. The Stig crashed in that one. Other podium positions have come from all over the grid, but in all three races, the driver who started in 2nd finished in the top 4. Among other drivers on the current grid, Launch, Sheila, and Bubba have all finished in the top 3. 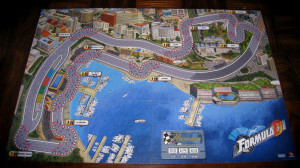 This entry was posted in Race Previews and tagged Monaco. Bookmark the permalink. could you tell me the name of the plug in you use for your championship standing ? The standings and other pages aren’t using a publicly available WordPress plugin. It’s all custom development.